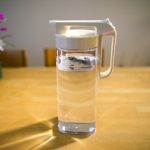 In this newsletter, I would like to explain about the ultimate tea brewing technique that remains the freshness of the tea flavor over the multi infusions. I will share some scientific approaches of brewing tea. 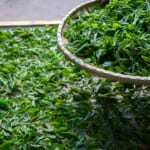 In general, the higher the quality of tea leaf, the more delicate it becomes. As far as I am concerned, fresh tea leaves and fresh vegetables are the same. Please imagine fresh lettuce in salad, it gives very fresh green aroma. 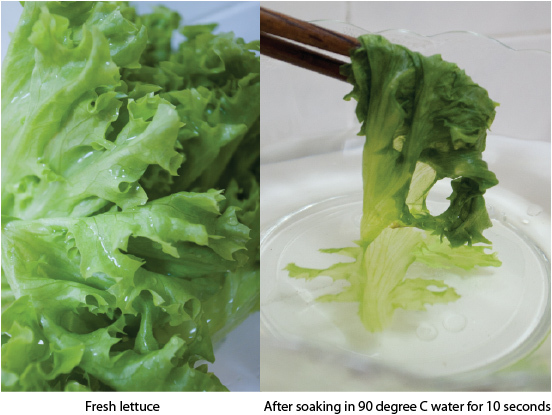 However, if the fresh lettuce is placed in the boiling hot water for a while, what would happen? The lettuce will be instantly cooked and it no longer gives fresh flavor. This is a very important point for brewing tea. If I put my finger in the boiling water for a few seconds, my finger may be seriously damaged. Not to mention if I put it in for a minute, my finger will be “perfectly” burned. However what if I insert my finger and immediately remove it such as within 0.01 second? I assume that my finger may not be hurt. The same logic can be applied in brewing tea. 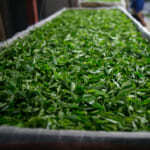 We need to efficiently extract the flavor of tea leaf, but we do not want to cook the leaf. 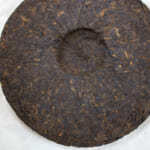 If tea leaf is soaked in hot water for a long time, tea leaf will be cooked just like the boiled vegetable. 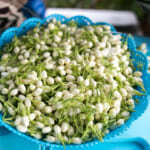 It will also rob the tea of its aromatics and rendering the fragrance flat and dull. 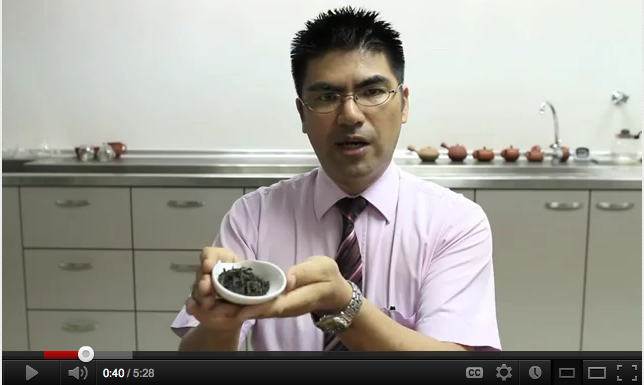 Besides, the antioxidants inside the tea leaf will be oxidized and destroyed. So what is the ideal brewing technique? Surprisingly, even if I make tea according to method D, I can enjoy the same intensity of flavor as method A. This is a scientific approach. However this method is not originated from me. The same theory has been developed long ago in Chaozhou, China. It is known as the Kung-fu tea brewing technique. Chaozhou is the hometown of Phoenix Dan Cong oolong. 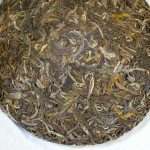 Phoenix Dan Cong oolong is one of the most intricate and complex teas to manufacture. 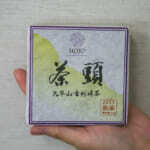 This tea is made with highly developed process that is labor-intensive and challenging for tea masters. As a reward, tea gives unimaginably strong fruity or flowery flavor reminiscent of apricot, mango, peach, honey, marigolds or orchids.Traditionally people in Chaozhou did not want to spoil the freshness of this tea. 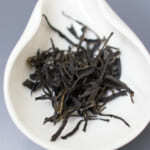 They wish to enjoy this strikingly flavorful teas as many infusions as they can. Kung-fu tea brewing technique was developed to achieve very short infusion so as not to cook (oxidize) the tea leaf and maintain its freshness over many brewing. Once we learned this very short infusion technique, the flavor of tea is still identical even after repeated brewing. The fresh flavor that we enjoyed on the first brewing can be remained for more than 6 brewing. Since the ratio of tea to water is very high, we can brew many times, usually more than 10 times. There is one important tip. After every brewing, remove the lid from tea pot and let the leaf cooled down before the next brewing. Usually I use a pitcher to gather the first to third brewing to get an even concentration before serving. From second brewing onwards, I practice “touch and go” brewing style; it means tea is infused for less than a second. Generally, green tea contains a lot of antioxidant, that is more sensitive to heat compared to other kind of tea. 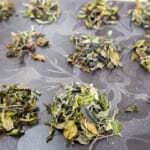 Even if I practice this technique, due to the remaining heat from previous brewing, the tea leaf may be cooked. Under the circumstances, it is necessary to cool down the hot water to about 80 degree Celsius. It is important to brew as short as possible. In addition, it is good to use a flat-shaped teapot so that tea leaf could widely spread and more efficient to release the heat. If your technique is good, green tea and even green oolong tea can remains very fresh green in color even if brewing up to 10 times. The following video shows short infusion technique using Houhin. 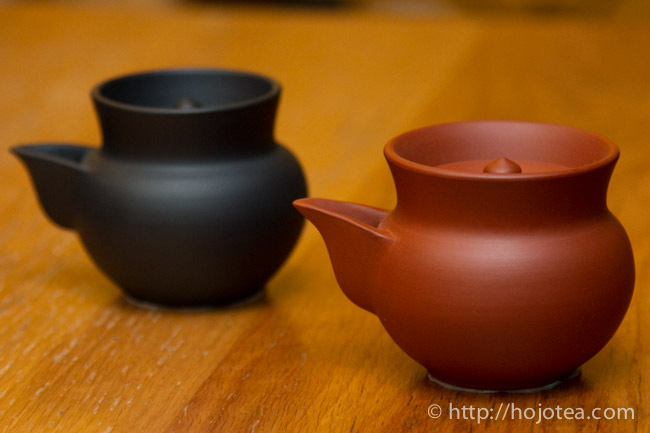 Houhin has the same function as the gaiwan, but its design is more handy; I can instantly pour out the tea without any worry that my fingers get burned, like what I used to experience when just started to use the traditional gaiwan.